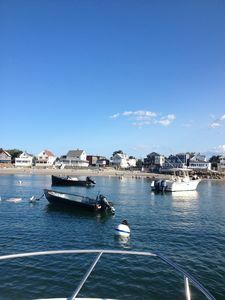 On the Sea in Scituate Harbor! Please email me first to check availability. Please contact me before you wish to commit to staying in my home. I have this listing listed on other venues and we will need to make certain it is available for you. 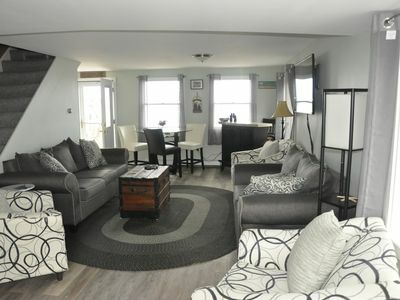 I have lots of great reviews on my other listings here and another rental site. 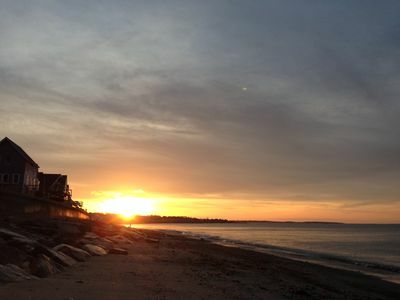 Sail or drive to my seaside home, my little piece of heaven on a peninsula by Scituate Harbor. Located across from the yacht club and shopping district. 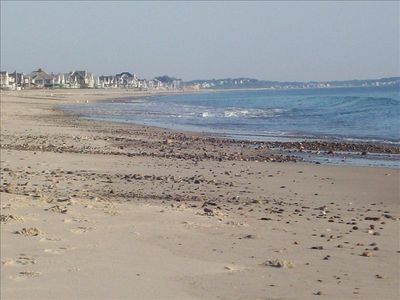 Relax on the beach, stroll to the stores, award winning restaurants, galleries, movie theatre and churches. 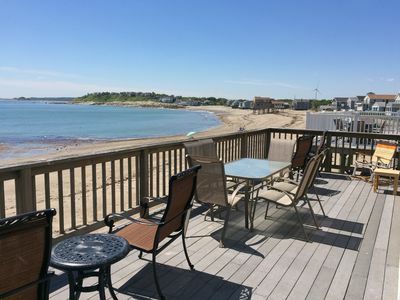 Cruise on Scituate Harbor, whale watch anyone? Use my kayak, bike? 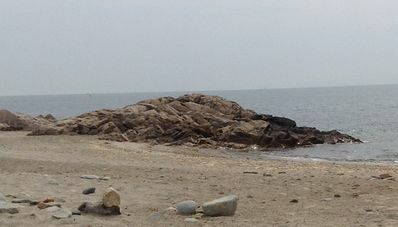 Located 20 miles south of the best city in the world - Boston - and 20 miles north of Plymouth Rock, a historical gem. 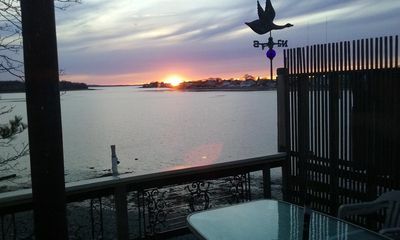 My oasis is on a little peninsula in Scituate Harbor. 3 story home. First floor is my studio space where I make my art when I am not renting my home. 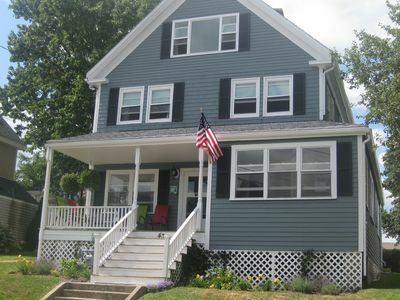 Also on this ground floor is a bed and bath with an efficiency set up and a front porch. Second floor 2 decks front and back. there is a kitchen, full bath with W/D, a BR with a queen size Murphy Bed, desk and shelving, and a den with a large smart tv on the wall. 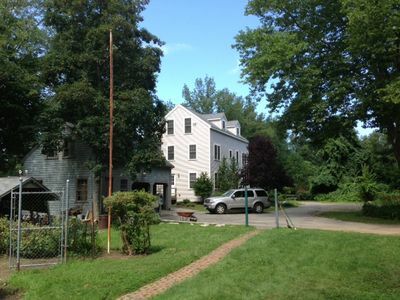 Third floor is one space with staggering views, a deck, a queen size bed, sofa and wood stove. 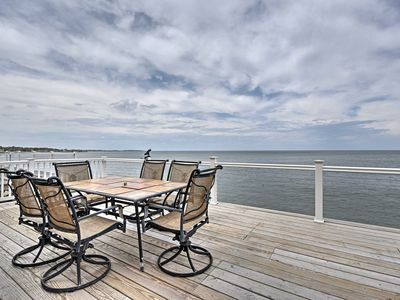 This listing suggests my home sleeps 8. To be clear there are 3 queen size beds available. One on each floor. There is plenty of room on first floor for an inflatable bed if you choose to bring one. 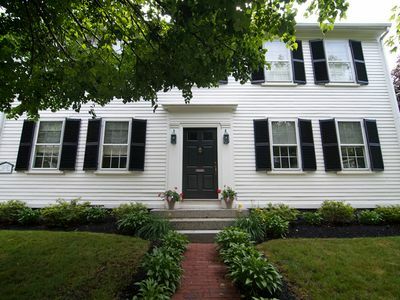 I have lived in Scituate for 44 years, this home for 22 years. I am an artist by trade. I think of making life easier and moving and I just can't bear to leave this neighborhood. 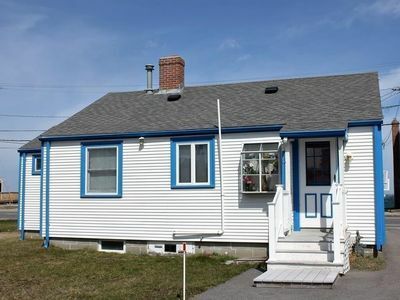 Where else could I ever go that has great neighbors and panoramic views out of every window? And the decks...I have 4 awesome decks. 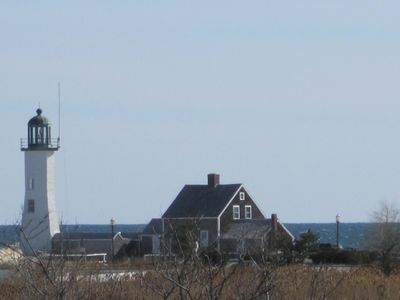 Driving home when I turn the corner and see the lighthouse I know I am home. I am told by my many many guests, I have a 'happy , great energy home'. I make art for a living, I am healthy, and enjoy many neat friends! Of course my home is happy! 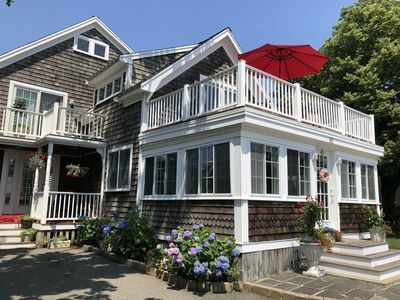 You will have access to the entire home with the exception of a partial space in my studio on the first floor where I will store some supplies. 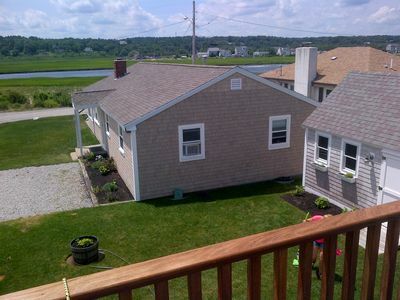 I have a good size back yard and unlike other seaside homes I have a vacant lot on one side so it doesn't feel as cramped as many seaside cottage do. 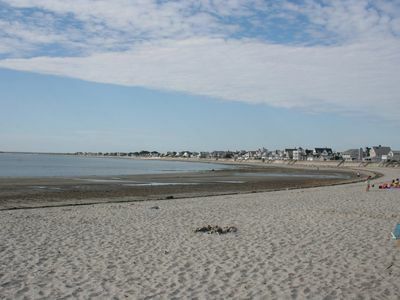 There is a bathing beach a few steps away and several really nice beaches in town. I have a kayak, paddles and safety vest you may use. I also have a 10 speed bike. I will direct you to anything you may need. I also have a cool Honda Element to loan licensed adult drivers to transport kayaks and use beaches in town. I will be a phone call away always. I stay within 10 minutes of my home when it is rented and I have a 'handyman' that is available 24/7 should anything arise. It is my goal to make your stay in my home seamless, enjoyable, relaxing and a memory maker. My neighborhood is so cool! We all know each other and are very friendly. This is a great walking neighborhood. I love to walk out on the jetties and my puppy Simon insists on at least one beach walk on the sand daily regardless of the weather! My driveway holds 3/4 cars. Uber is not reliable in Scituate - yet. There is a commuter rail about 3 miles away that will get you into the city of Boston in less than an hour. 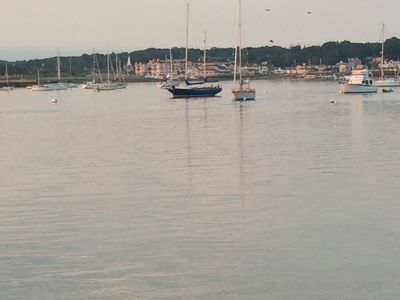 There is also a commuter boat leaves out of Hingham regularly - about a 15/20 minute drive by car from here depending on traffic. No need to drive to the shops and restaurants. What a great walk on a summers eve - then you can have that extra glass of wine! I have folks arrive by boat - leaving their boats at the yacht club or other marinas. 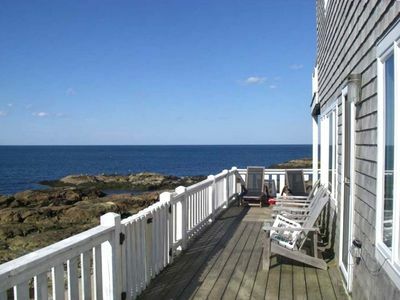 The Best Ocean Views from This Superior Direct Oceanfront Property! 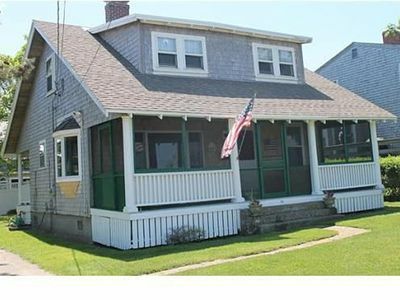 Charming Beach Cottage in Green Harbor--Just Steps to the Beach! 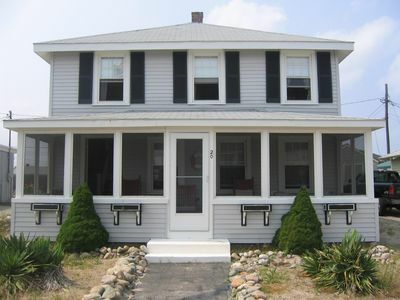 Adorable cottage just steps away from the ocean! !